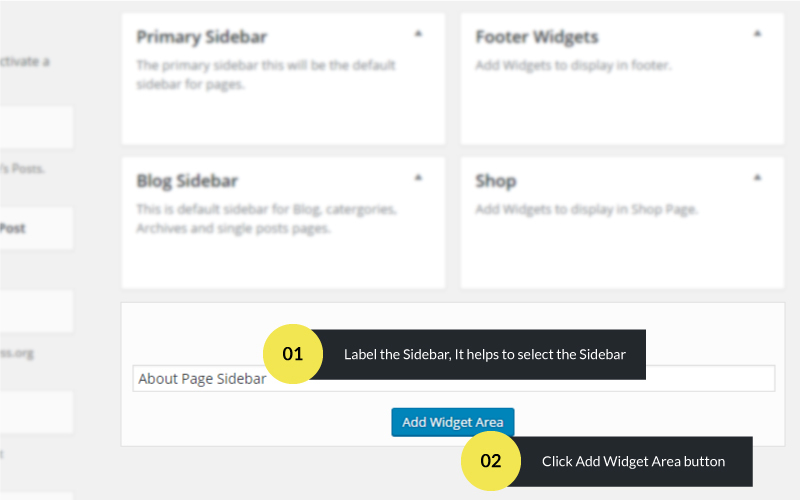 Custom sidebar really helps to use the sidebar for particular pages, blog related pages, header and footer widgets. 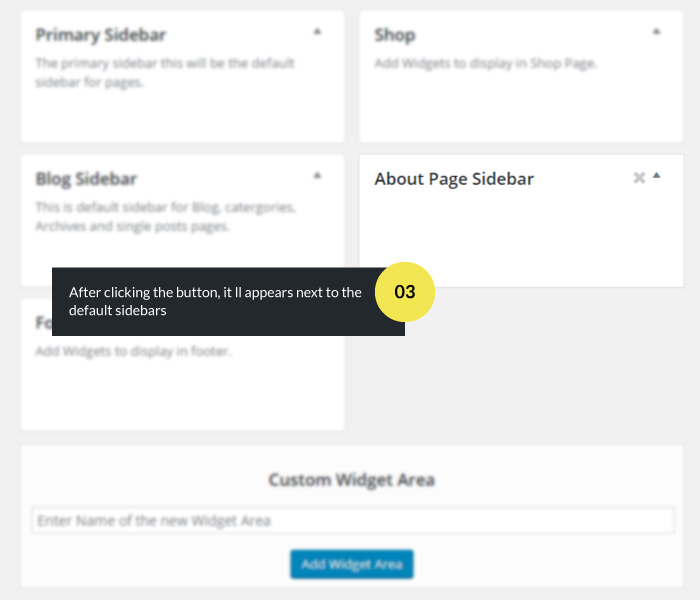 Label the sidebar ( Eg: About Page Sidebar ), It helps to select the sidebar in metabox and theme options. And click the Add Widget Area button. After clicking the button, The additional sidebar ( Eg: About Page Sidebar ) automatically appends after the default sidebar.